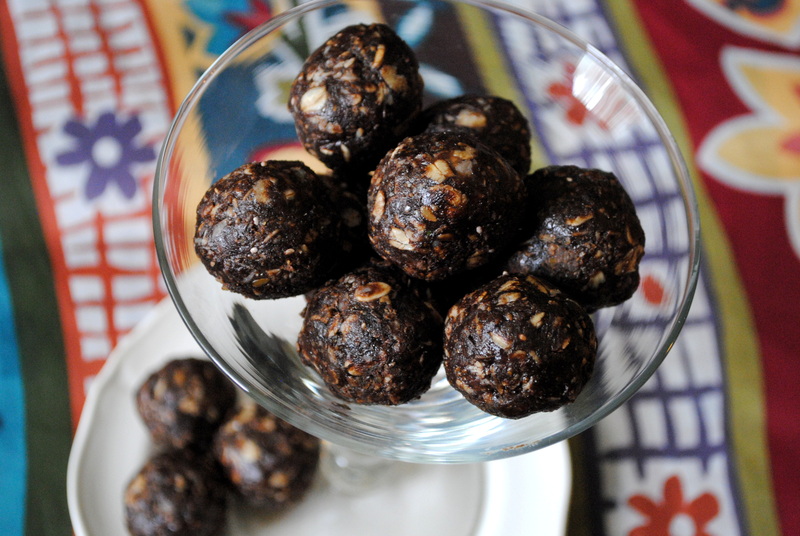 I saw a recipe for Chocolate Energy Bites, and I thought they were perfect for me. Recently we welcomed our second child, Eleanor Jayne, into our family. Being a new parent brings such great joy!…and also such tiredness. 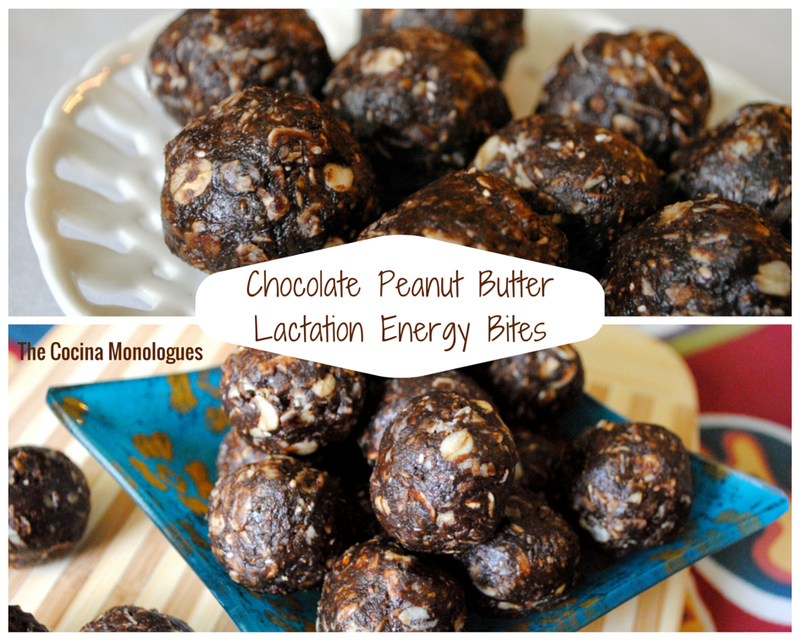 So when I saw this recipe, I wasn’t sure which I needed more – chocolate or energy. Oh, who am I kidding, when you need one, don’t you pretty much need the other? 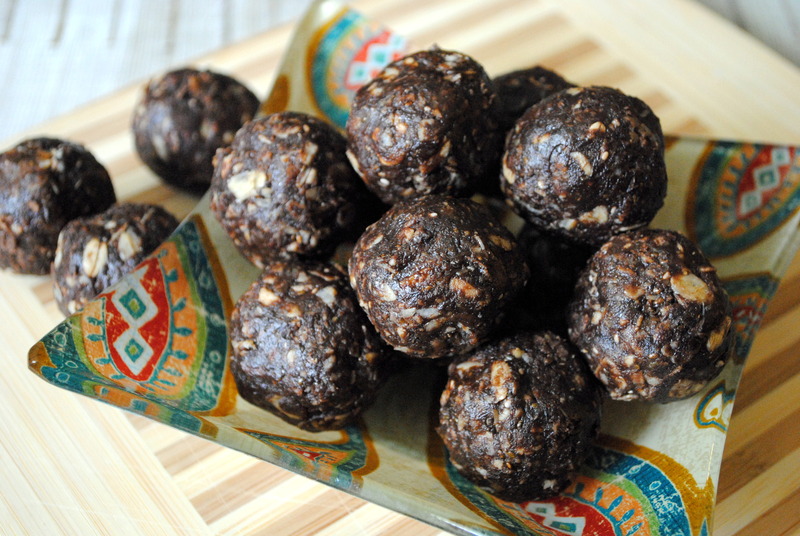 The protein and fiber in these delicious little chocolate treats give your body sustained energy, rather than the sugar crash that would result from an energy drink or soda. (Did you know that Chia seeds have a whopping 10 grams of fiber in only 2 tablespoons? That is one-third of the daily recommended intake of fiber per day!) 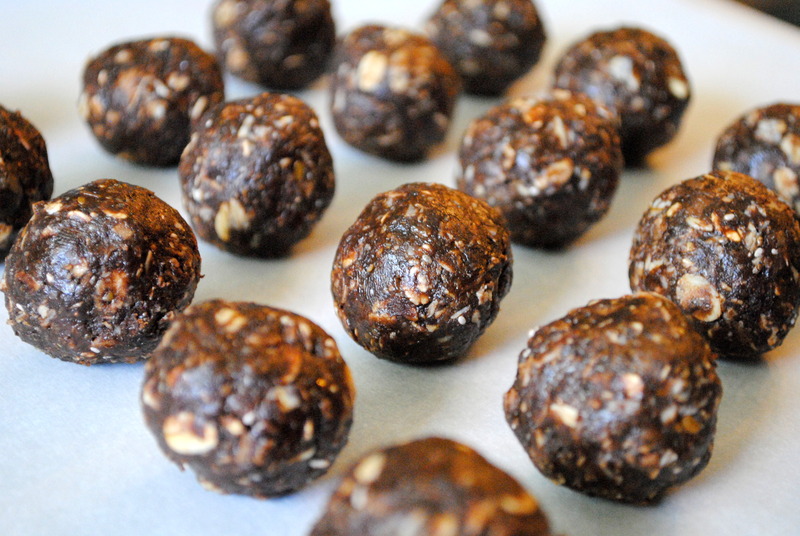 These are sweetened naturally with honey, no added sugar. And can we just talk for a minute about the fact that they contain peanut butter along with the chocolate? Hello!? 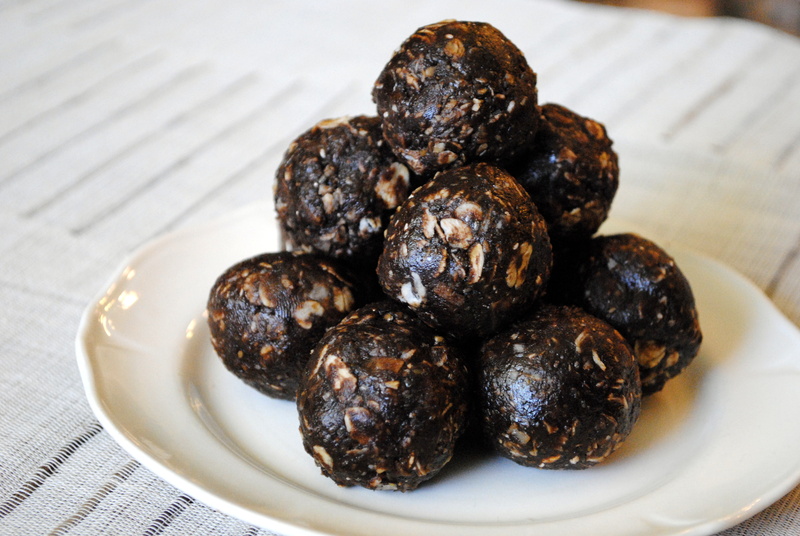 It’s the perfect little (healthy) treat! Not only am I always on the lookout for a sweet treat I don’t have to feel guilty about (and bonus if it’s chocolate and peanut butter! 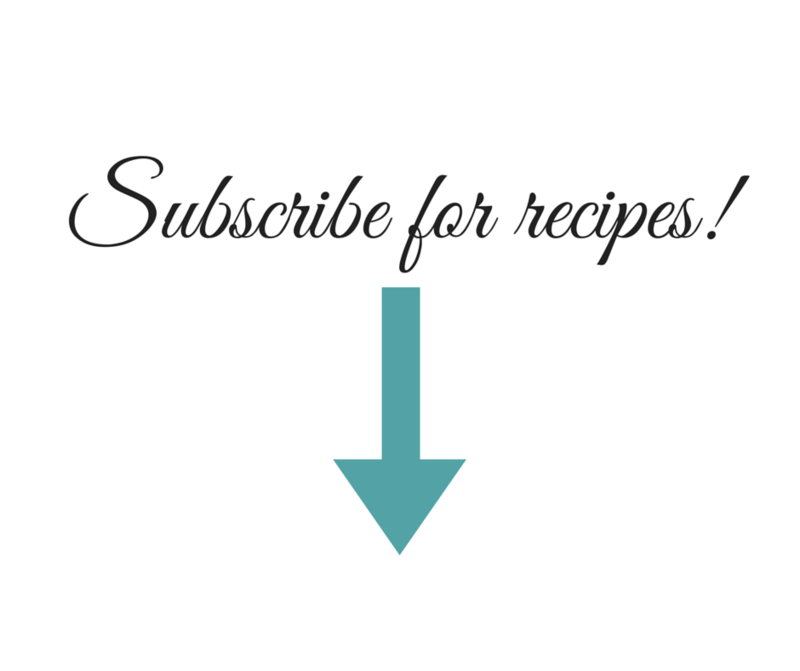 ), as a breastfeeding mom I am especially fond of recipes that are beneficial for lactation. Now, just like I always say on my “lactation” recipes, if you are not lactating, this will NOT make you lactate. So, really anyone can eat and enjoy these – men, women, children, anyone. The trio of oats, flax, and chia seeds in this recipe are a great source of protein, fiber, and omega-3s, which are good for anyone, but especially breastfeeding moms. 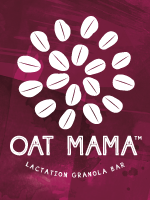 And if you do want the lactation benefit, you can even add some brewer’s yeast to really pump up the mams. So for me, these really couldn’t be any more perfect! 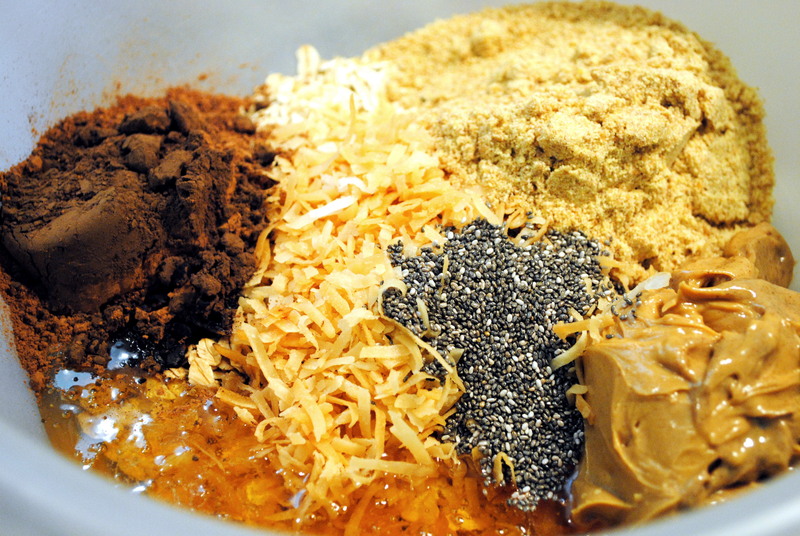 Mix all ingredients thoroughly until well combined. Cover and chill in the refrigerator for at least 30 minutes. This makes the mix easier to form into balls. Using a teaspoon, melon baller, or other small scoop, form the mix into balls about 1 inch in diameter. I used a small ice cream-type scoop, and it made it really easy. Makes about 20-24 balls, depending on the size.